Derek Weston, owner of Six Stars Pest Control Services, has been recognized by Lakota Funds as an “All Star” for his participation in multiple programs designed to build assets for Lakota individuals and families. The All Star program was designed by Lakota Funds to encourage their clients to participate in multiple programs, and recognizes the hard work and accomplishments of those who are working to build assets for themselves and their families. “Derek is a business-savvy individual, and has been very successful in his entrepreneurial ventures. He makes responsible financial decisions and continually reinvests in his company,” says Tony Taylor, Loan Officer at Lakota Funds. Taylor, who has been working with Weston for three years, says he has exemplary business and saving practices. 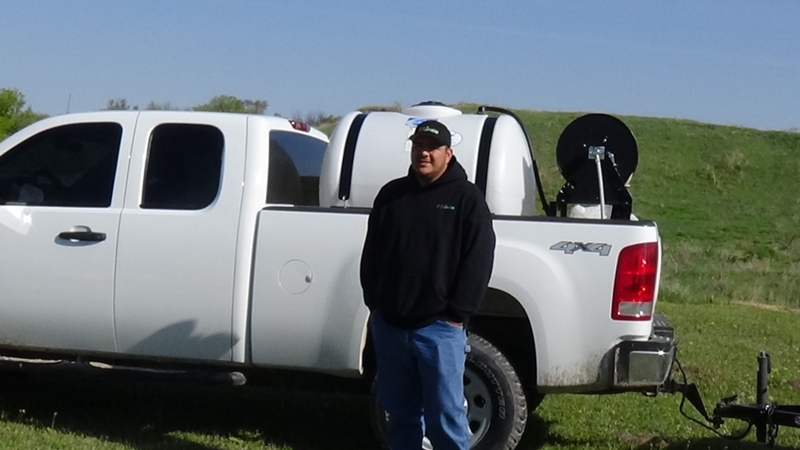 In 2014, Weston utilized a business loan from Lakota Funds to purchase a service truck to expand his pest control business. 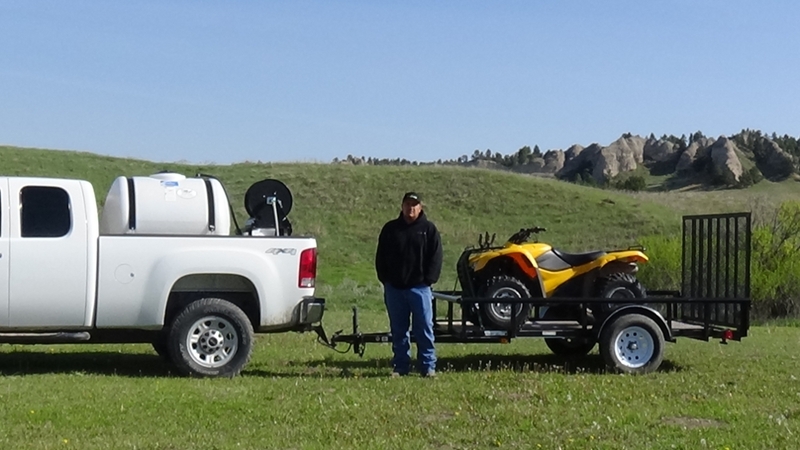 Initially, the business provided small pest and weed control to homeowners, but has since expanded to include a full spectrum of pest control, noxious weed control, landscaping, and snow removal. In addition, his company specializes in hazardous material removal, including methamphetamine lab and black mold clean up. Weston holds eight different licenses to safely provide these services to individuals and businesses on the Pine Ridge Reservation. “Just by looking at the way Derek’s business has grown – from part-time to a full-time company that is now creating job opportunities for other tribal members – says a lot about how he manages his business,” says Taylor. Weston uses Lakota Funds’ Volunteer Income Tax Assistance (VITA) site to prepare his taxes every year, and at that point can determine how much funds he has available to continue to grow his business in the coming year. Taylor says that Weston has a good working relationship with Lakota Funds and has tapped on staff as an information resource. Weston has plans to keep growing Six Stars Pest Control Services, and hopes to employ up to 10 people with operations expanding outside of the Reservation someday.